And The Award For Most Popular Goes To…The Labrador Retriever!! →And The Award For Most Popular Goes To…The Labrador Retriever!! That’s right, the most popular breed, according to The American Kennel Club (AKC), is the adorable, loving and hardworking Labrador Retriever. Whether you are looking for the best hunting buddy, an assistance companion or the ultimate addition to your family, the Labrador Retriever does not disappoint. The Labrador Retriever hails from Newfoundland, Canada and is likely named for the neighboring region, Labrador. It is believed that the Labrador Retriever is the result of breeding the large Newfoundland dog with smaller local water dogs. Bred for his hunting, retrieving, and swimming skills, the Lab was sought after by hunters around the world which explains his worldwide popularity today. The fishermen of Newfoundland preferred the Labrador Retriever, known as the St. Johns Dog at the time, because he could fit in their small boats and jump in and out easily to retrieve any fish trying to escape their lines. The Newfoundland dog was often too large for this, also the Lab’s shorter, slicker coat prevented ice from building up in the fur while swimming in the frigid waters of the North Atlantic. The Labrador Retriever was eventually imported by hunters from England in the early 1800s and were called St. Johns Dogs up until 1865 when the Labrador name became prevalent. In 1895, English laws effectively eliminated the import of dogs into the country, threatening the population of Labrador Retrievers. Our modern Labs are likely the result of a few breed enthusiasts, including the Earl of Malmesbury and the Duke of Buccleuch, taking pride in preserving the integrity and survival of the Labrador Retriever breed. The Kennel Club (UKC) recognized the Labrador Retriever in 1903, followed later by the American Kennel Club (AKC) in 1917. Sturdy, strong and with a face you can’t help but love, the Labrador Retriever is appreciated the world over in the show ring and millions of homes. 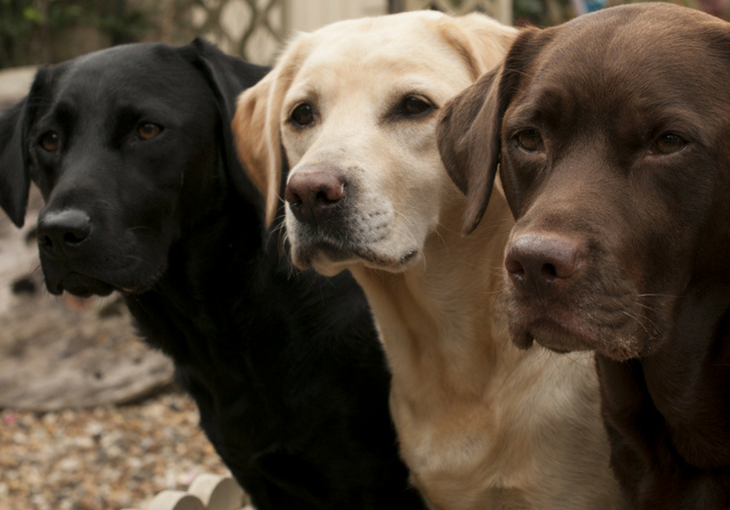 The American Kennel Club recognizes three colors in the Labrador Retriever breed, black, yellow and chocolate. A small white spot on the chest is allowed, but any other color or combination of markings would disqualify a dog from show competition. His coat is short, straight and very dense with a weather resistant undercoat according to the AKC’s breed standard. The Labrador Retriever is considered a medium sized dog weighing between 55 and 80 pounds and standing between 21 ½ to 24 ½ inches tall at the shoulder. He has a wide skull with low set ears that hang close to his head. The color of the nose is also important and should be either black or dark brown. A Lab would be disqualified from competition for a nose that was too light or pink. The most distinctive features of the Labrador are likely his kind, expressive eyes, webbed toes to help him swim and tail that is described as being “otter-like”. The eyes should be dark, though hazel is acceptable in chocolate colored Labs, and should show his loving temperament. The tail is long and tapered, and while covered well with thick fur, it should never be long or feathered fur. The tail should move freely with the body and not curl up over the back at all. 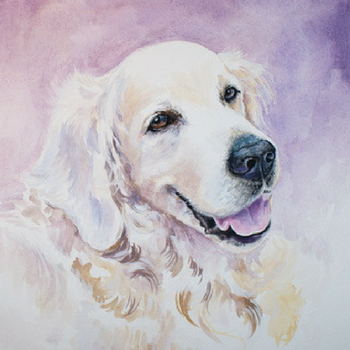 The Labrador Retriever exudes kindness and an eagerness to please his owner. Energetic and intelligent, this pup needs a decent amount of exercise every day and may not be the best choice for urban or apartment living. When training is started early and kept consistent, you will find the Lab very receptive to nearly anything you want him to do. This lovable guy wants to work, loves to swim and is a natural for obedience training. Labs are great with kids and other family pets. This pup will need sufficient physical and mental stimulation to avoid bad habits like chewing and stubbornness. A rigorous game of fetch will help to satisfy the Lab’s instinct to chase and retrieve objects for you. I have described the Labrador Retriever’s beginnings as an expert assistant to the fishermen of Newfoundland, Canada. We are also familiar with the Lab’s inherent skill as a hunting dog, retrieving waterfowl and other small game. With these talents in mind, it may come as no surprise that the Labrador Retriever is an adept tracker. Hunters love these abilities, but Labs also put their nose to work for other pursuits. Search and rescue dogs may perform a variety of tasks to assist police and disaster relief teams. Researchers have shown that dogs are capable of detecting scent at 10,000 to 100,000 times the capabilities of humans. The Labrador Retriever is one of the preferred breeds to assist with search and rescue efforts. This may include wilderness tracking, searching for missing persons or human remains. This task is often complicated by time, weather or competing scents that would distract an untrained pooch. A study performed by the Animal Behavior Center at Queen's University Belfast shows that a skilled tracking dog can pick up a trail left by a human in as few as five steps into the trail. Urban search and rescue is recognized by the AKC as a separate skill. These dogs go into environments such as the World Trade Center site after the horrific events of September 11, 2001. Other rescue sites may include earthquakes, avalanches, hurricanes, floods, tornadoes and war zones. One canine hero named Jake, a Black Lab that assisted search and rescue efforts after 9/11 and also Hurricane Katrina in 2005, was part of an elite group of dogs that are certified by the United States government as rescue dogs. Police departments and military units employ dogs to alert them to the presence of drugs, explosives or hidden people. Though most dogs have the ability to detect and follow these scents, the Labrador Retriever possesses a determination for tracking that exceeds the focus of many other breeds. Hopefully, the only place that you will encounter these professional pups is at the airport, where they may be inspecting luggage for illegal items. Owing to their intelligence, trainability and even temperament, Labrador Retrievers make excellent guide dogs for vision or hearing impaired individuals and assistance companions for people with physical disabilities. The Labrador Retriever is the most common breed of guide dog for blind and vision impaired people. Guide dogs lead their humans through crowds, around obstacles and safely across streets. They aren’t typically meant to serve as navigators, but may learn an often traveled route. It is critical that these pups are confident and protective with their owner without being aggressive or ill-mannered in public places. Labs are especially proficient in these roles and are the most successful in the specialized training required for certification as a guide dog. Hearing dogs are also allowed the same access to public spaces as guide dogs. To help their humans, hearing dogs physically alert to sounds their owner needs to be aware of. For example, they may lead their human to a ringing phone, doorbell or someone who has called the owner’s name. The hearing dog is also trained to lead their humans away from certain noises such as fire alarms and sirens. Service dogs are also trained to help people with other disabilities such as epilepsy, diabetes, PTSD and mobility issues. These canine companions may remind their humans to take medicines at specific times, retrieve or move objects, keep other people away from their owner or alert when their owner needs assistance. Therapy dogs do not require specialized training beyond thorough obedience and socialization work. These pups offer comfort and companionship to people in hospitals or nursing homes. The Labrador Retriever is the perfect combination of gentle, fun and friendly to bring joy and comfort during therapy visits. One of the most exceptional examples of a service animal is a Yellow Lab named Endal. Endal was an assistance companion for an injured veteran in England, Allen Parton. He was able to help his human with laundry and grocery shopping, and was the first dog to use an ATM card. The most amazing feat may be when his owner, who was in a wheelchair, was hit by a car and Endal dragged him to safety and ran into a hotel to find help for Allen. Endal received 10 awards for his service between 2000-2005, and is known as “the most decorated dog in the world”. The Labrador Retriever is a generally healthy dog with an average life expectancy of 10-12 years. They are prone to common health concerns such as elbow and hip dysplasia, which is the most common cause of arthritis in dogs, and eye problems including cataracts. 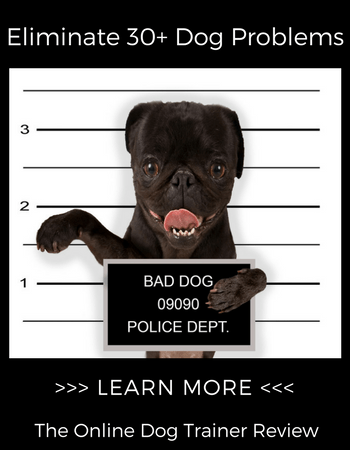 These issues are greatly reduced by purchasing your new pup from a reputable breeder. Another health concern for Labs is obesity. This energetic guy has a higher than average predisposition for unhealthy weight gain, which increases the likelihood of common joint problems like elbow and hip dysplasia. Your Lab needs vigorous exercise and a healthy diet to avoid weight related issues. Free-feeding is not recommended for the Labrador Retriever to avoid over-feeding leading to obesity. A great way to keep your Lab active and fit is to get involved with his training. Of course you need to work on basic obedience training first, but with all of the talent this dog possesses, there are few limits on what he can learn to do. Training also gives your Lab mental stimulation, which is necessary to keep this intelligent guy happy. Basic grooming should keep your Lab looking and feeling his best. Labrador Retrievers are shedders. Their thick undercoat sheds year round, but can be managed with weekly brushing. Maintain his nails, ears and teeth and you will have a great looking and relatively low maintenance companion for many years. Since the Labrador Retriever is the most popular dog, it comes as no surprise that there are loads of breeders with puppies available. The AKC website can direct you to breeders that meet their standards for breeding healthy Labs. If you have decided that a purebred Lab is the dog for you, then one of these AKC approved breeders will ensure that you bring home healthy pet, of course, but these breeders also take temperament into account when deciding which dogs to proliferate. For a good quality Lab you should expect to pay an average of $800 - $1200, though it can be much higher for show quality dogs. If you decide that you are less concerned with the lineage of your new pet and would rather have the satisfaction of rescuing your dog, there are several shelters that specialize in Labrador Retriever adoptions. The Labrador Retrievers Club has an available search to find Lab rescues in your area.